CHICAGO—Brazenly strolling through the rows of desks while pointing out the firm’s various departments to his two guests, Lodestone Media intern Nate Kapper, 19, made the incredibly bold move of giving his parents a tour of the company’s offices Wednesday, sources reported. “He brought his family through in the middle of the afternoon, and, right in front of everyone, he said, ‘This is the desk where I work,’” communications manager Laura Dao said of the cavalier 15-hour-a-week employee who started two months ago and is sent home early most days due to a lack of tasks to complete. 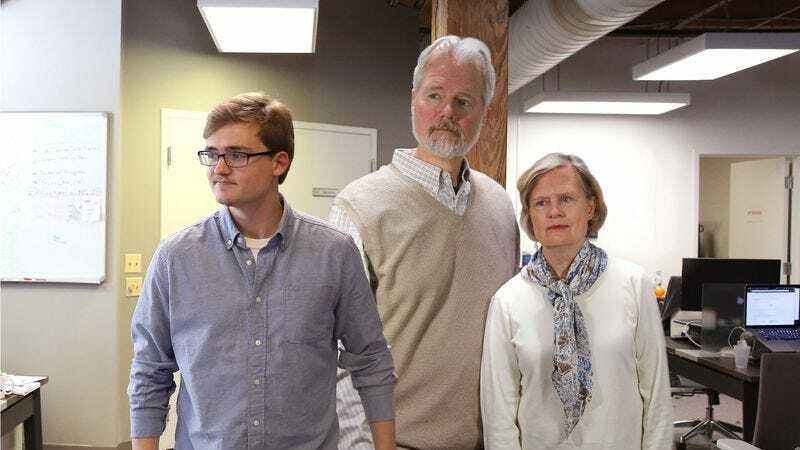 “And then, once he’d walked his parents around the entire floor, he went up to [senior director] Mary [Fullman] and introduced his parents to her directly. I think he even called her ‘a good boss.’” Sources later confirmed seeing the teenager who earns a $350 monthly stipend taking his parents into the kitchen, where he offered them their choice of coffee or tea.